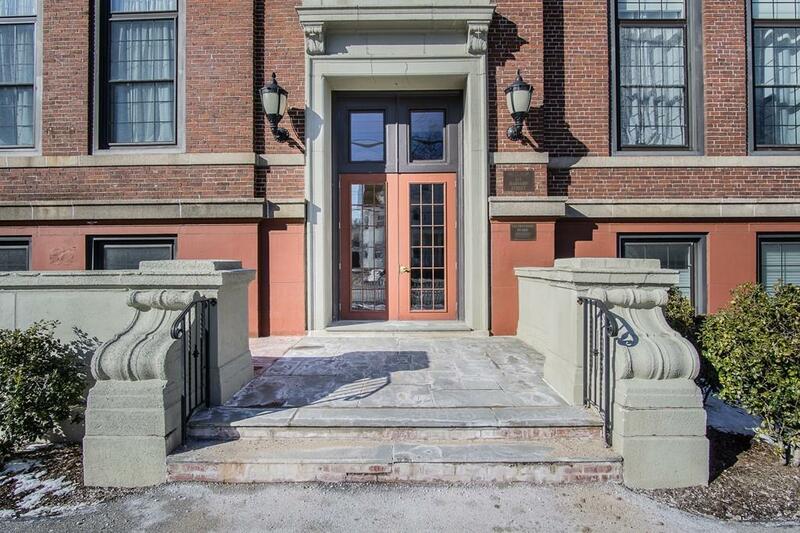 Fabulous location and character, this condo is a must see! Converted in 2009, this building was once Lincoln Jr High School and retains all it's charm. The unit is located on the top floor with privacy on both sides and access by stairs or elevators. 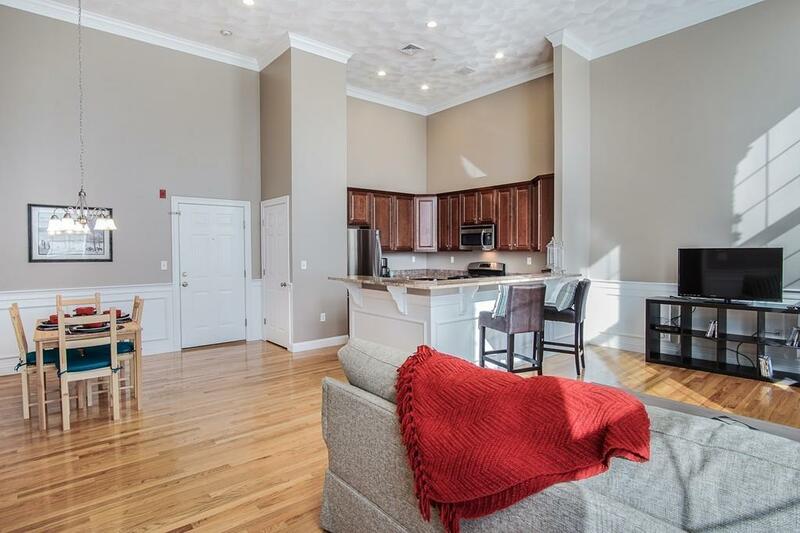 Hardwood floors throughout and 14 ft high cathedral ceilings create an open/spacious and sunny feel. There is a large master bedroom w/walk-in closet and master bath w/jacuzzi tub. You will find another large bedroom and second full bath plus a bonus office, den or nursery w/walk-in closet and laundry in the unit. There are large closets with tons of storage in the updated kitchen that opens into the dining and living room space. 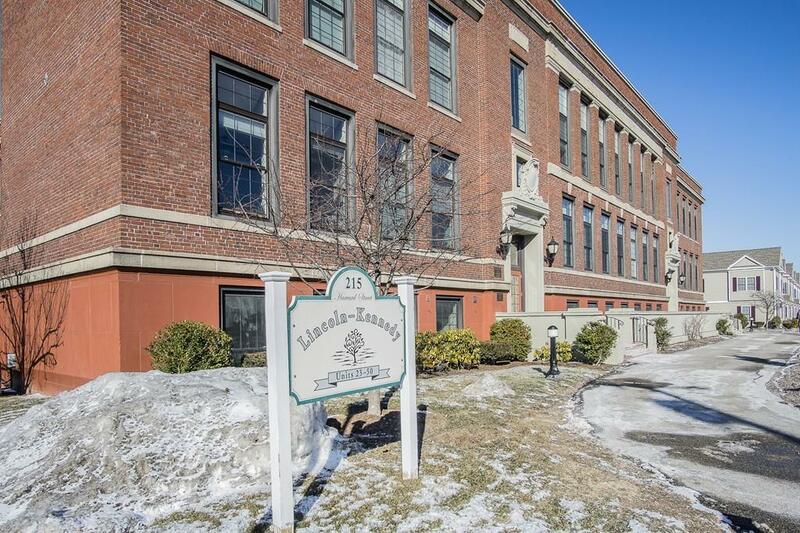 A storage unit on the same level, 2 deeded parking spots, and wonderful amenities are included such as the original school basketball court, gym, kids playroom, pool/game/conference rooms, and common outdoor space in the center of the building. 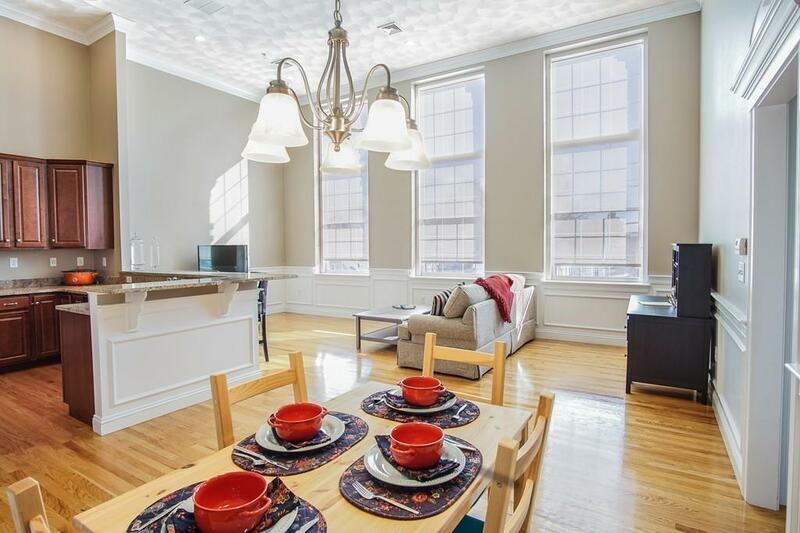 A commuters dream located near Tufts and the new green line stop!